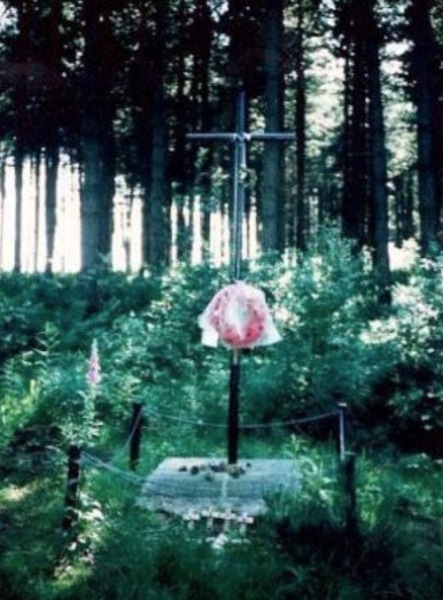 In 1939 the Second World War started and the village closed down for it. The Jonathan Labray School was closed to become a food storage hut. Food was brought in containers and stacked in the classrooms and through that first year of the war, evacuees came from London and stayed in the school until they could be found a home within the village. To look after these evacuees people were given 12/6d (60p approx.) per each one. In Calverton the effect of the war was not felt like it was felt in the towns. We had local farms that produced food; potatoes were grown on the roadside, on the verge side. There were allotments, where food was produced. At Labray School the field was dug up and each boy had a plot where he could grow food. People kept pigs and pig food could be bought at the local Co-op. This was bran and husk from the flour mills, but the pigs didn't mind, well there was a bread ration after all. As the War progressed, Calverton House, which was the largest house in the village, was taken over by the Army. The Royal Wiltshire Yeomanry came with their horses and took over the buildings and the stables and the soldiers cameto the village, youngsters loved it. It was a time to admire these men in uniform and their horses and vehicles. These men often gave out memorabilia, in the form of buttons and badges to the villagers. Sadly these soldiers were soon posted to North Africa. One or two of them actually married here and indeed their descendants are still here. Nottingham's very own Raleigh factory was building Spitfires during the conflict, so the city was very much a strategic target for the German's. Also Boots the Chemists were making gas masks and John Players, although tobacco was short, were still providing cigarettes for servicemen. When Nottingham was bombed a string of firebombs fell across Calverton and its surrounding villages. The greenhouses in Lambley, which is now Floraland, were painted black and the German bombers were attracted to them thinking it was the Raleigh factory. After the soldiers came the Women's Land Army. They worked in the fields, on the farms and the woods. Fox Wood was cut down by the lumber 'Jills', these were a forestry division of the WLA. Fox Wood was raised in the 1940's for home grown timber. A travelling cinema came with the Land Girls. Films of newsreels, films from America were shown regularly. Occasionally the villagers got more involved in the War, aircraft which were coming home from bombing raids crashed. A Polish aircraft crashed near Salterford . 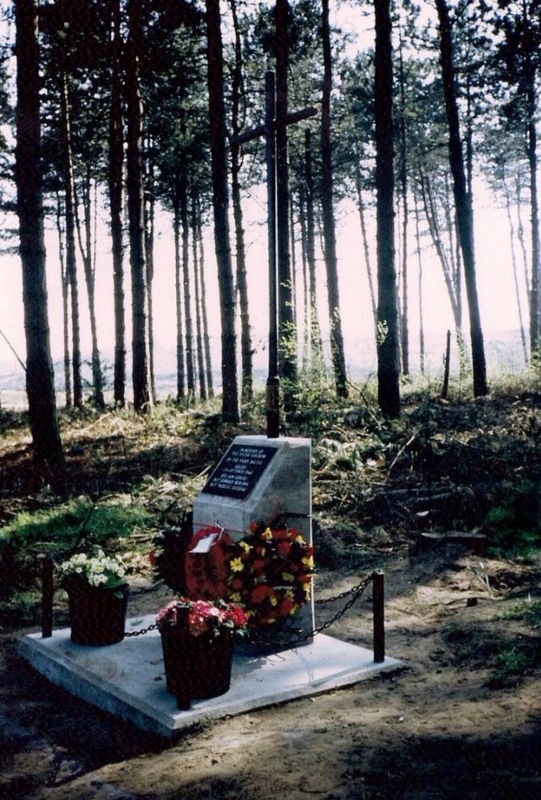 The memorial was built to them after the war. RAF Sergeant's 50 raids over Germany. Flight-Sergeant-Observer B.W. Grocock (pictured right top), 22, of Calverton who has been in the RAF since May, 1939, and has taken part in about 50 raids over Germany, has been officially posted as missing. The sergeant, who married about 12 months ago, was educated at the Nottingham High School. He was a member of the Calverton Cricket Club. His father is a well-known poultry breeder in Notts. 1943: RAF Officer awarded bar. Acting Wing-Commander, Michael James Beaumont Young, RAF, of George's Hill Calverton has been awarded a bar to his D.F.C. Wing-Commander Young (pictured right bottom), who is 27, is the youngest son of the late Major Reginald Young, Sherwood Foresters, of Rotate, near Petersfield, Sussex, and is married to the youngest daughter of the late Colonel Frank Seely, of Ramsdale Park, Arnold. The official citation reads: "Wing-Commander Young has completed 36 sorties. For the past nine months he has commanded a flight. By his skilful leadership and fine personal example he has contributed materially to the successes of his flight." 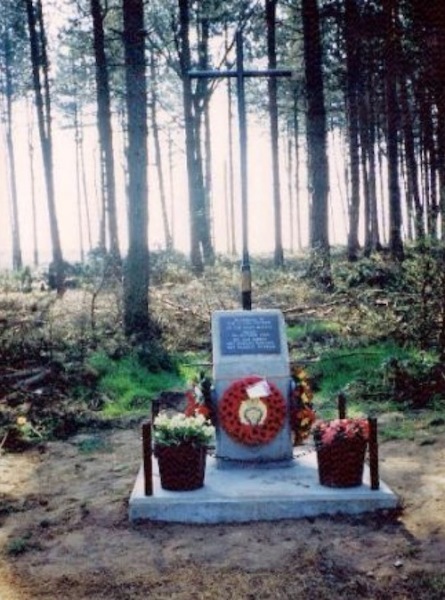 There is a memorial situated in Watchwood Plantation, Calverton that commemorates the deaths of three Polish airmen who crashed there. 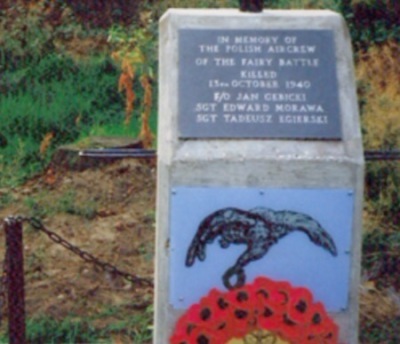 On the 13th of October 1940 a Polish Air Crew(of number 300 Masovian Squadron), who were fighting for the allies, was returning to their UK base, at RAF Swinderby. After a successful bombing raid, their stricken 'Fairey Battle' aeroplane came down in Calverton, tragically killing the three men instantly. This aircraft was a British single-engine light bomber built by the Fairey Aviation Company in the late 1930s for the Royal Air Force. The Battle was powered by the same Rolls-Royce Merlin piston engine that gave contemporary British fighters high performance; however, the Battle was weighed downwith a three-man crew and a bomb load. This aircraft was a British single-engine light bomber built by the Fairey Aviation Company in the late 1930s for the Royal Air Force. The Battle was powered by the same Rolls-Royce Merlin piston engine that gave contemporary British fighters high performance; however, the Battle was weighed downwith a three-man crew and a bomb load. Despite being a great improvement on the aircraft that preceded it, by the time it saw action it was slow, limited in range and highly vulnerable to both anti-aircraft fire and fighters with its single defensive .303 machine gun. 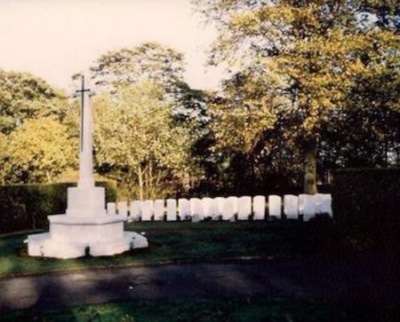 The men are buried in Wilford Hill cemetery, Nottinghamshire. 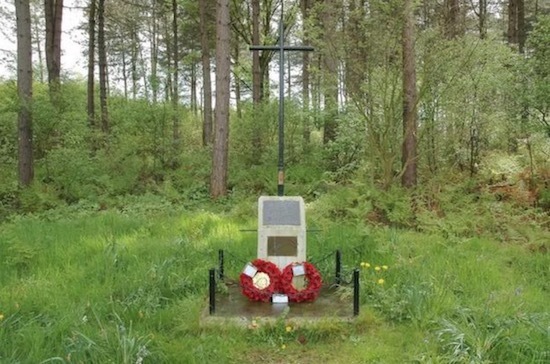 The cross is tendered and cared for by members of the Calverton & District Royal British Legion. A yearly homage takes place the day before Rememberance Sunday. 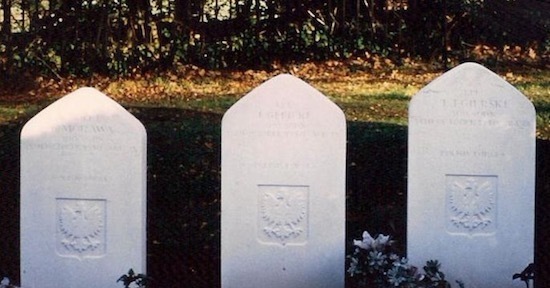 Representatives from the Polish people usually come to pay their tributes. The names of the Airmen are also listed on a memorial at St. Wilfrids Church.